Do you have a well-deserved day off work? Maybe you are catching up with friends or relatives you have not seen in a while? Maybe it’s a family day out? Or is it your first time in the big city? Here at Belfast One we have created a guide on what you can get up to, whatever the occasion! Before exploring the city, why not start your day off right with a delicious breakfast or brunch? If you want the traditional Northern Irish experience, call into Granny Annies for a selection of food from the great Ulster Fry to ‘bread bin’ club sandwiches, there is something for everyone in this quirky facility. 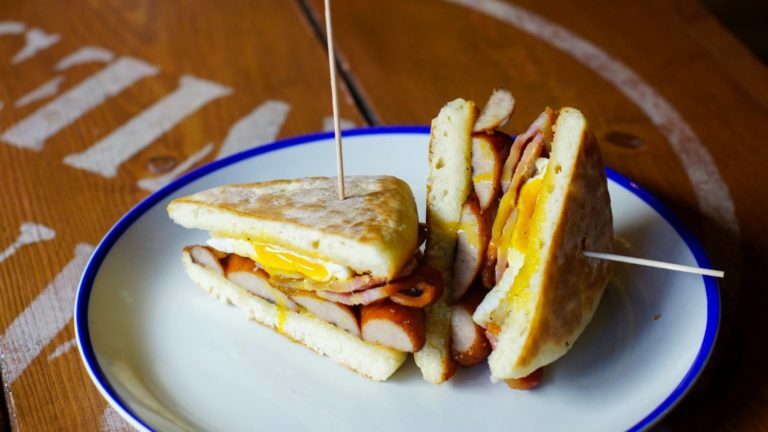 If this doesn’t suit, you can view our Top Seven Belfast Brunches here. 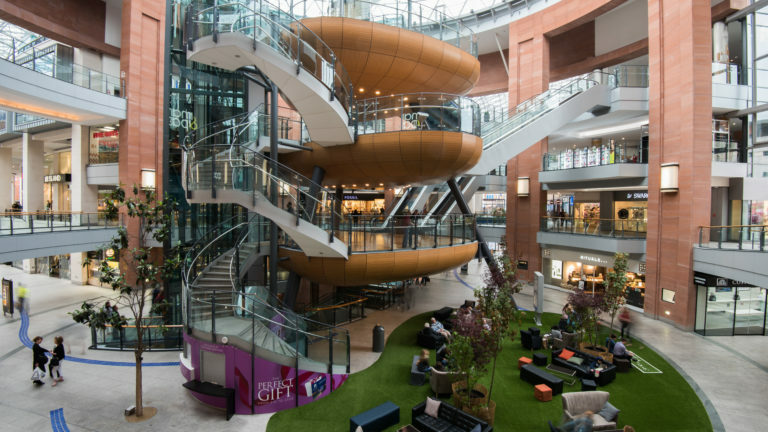 If you love to shop, you will love the two modern, family friendly shopping centres: CastleCourt and Victoria Square, located in the City Centre. CastleCourt has a wide range of high street independent stores, including Debenhams, Argos, Miss Selfridge, New Look and many more. With a convenient multi-storey car park, a fantastic food court and family friendly services, the centre is a must for all visitors. Victoria Square has four levels of luxury and high street stores including House of Fraser, Hollister, Topshop and Ireland’s only Apple store. It also has a wide range of restaurants to choose from including Pizza Hut, Five Guys as well as the Odeon, it has something for everyone! Whilst visiting Victoria Square make sure to make your way up to the iconic dome located at the top of the building. Here you will be able to look at first hand the beauty of Belfast and take in some of Belfast’s most famous and historic landmarks, including the famous Harland and Wolf cranes. If you are feeling adventurous why not gather up a team of friends or family and visit Timescape located in Castle Street, this offers you an escape from ordinary life as you get to choose from two thrilling stories and complete the mission in one hour to escape the room: Titanic – The Final Hour and Jack the Ripper – Murder Mystery. 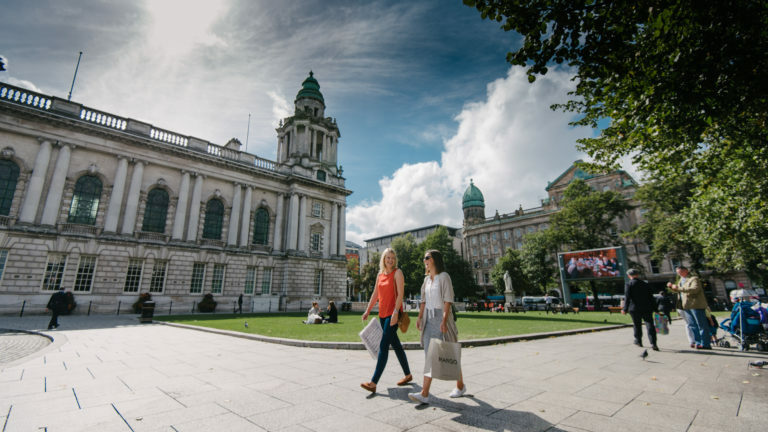 While exploring the City why not uncover the history of and explore one of Belfast’s most iconic buildings: Belfast City Hall. Led by an experienced guide, free public tours are available from Monday to Sunday and last around one hour. After a fun-packed day, there is no better way to finish the day off than to settle into a comfortable bed at a local hotel. Ranging from budget, quirky and luxury, the city centre has three great hotels to offer: The Ibis Hotel, Bullitt and Ten Square Hotel.